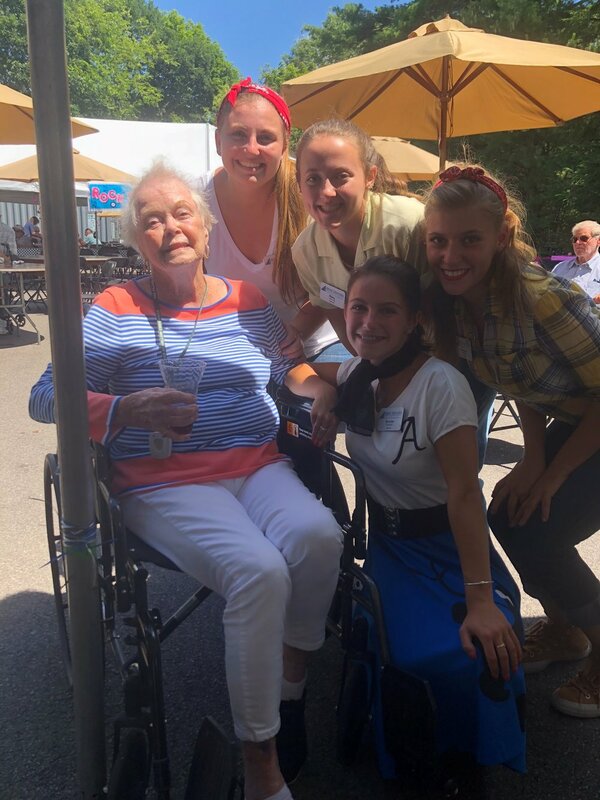 Ethel Stoller and her daughter, Margie Buckley, were enjoying a lovely day outside her cottage at The Village at Willow Crossings when they were approached by Director of Community Relations Paul Kauffman leading a couple on a tour. The couple wanted to see a large format cottage, and none was available to show. Paul asked Ethel for a quick tour of her home. Proud of her cottage, Ethel happily agreed. When Paul learned that Ethel and Margie planned to attend the upcoming Sock Hop, the community’s annual 1950s-themed summer outing, he invited Ethel’s beloved caregiver, Christiana Tewio, from Commonwealth Caregivers in Needham to join the party — returning one Radiant Act of Kindness with another. While covering this Radiant Act, we uncovered the interesting story of how Paul joined Benchmark. Paul’s grandmother-in-law, Toodie Gray, lived at Willow Crossings for 16 years. So, Paul was a member of the community before he joined Benchmark. After 20 years in health care management for health plans and providers, and as a client executive, Paul sought a more rewarding position. His mother-in-law suggested Benchmark. In January, Paul became a part-time Signature Services concierge at the community. In May, he became Willow Crossings’ director of community relations. Get a Load of All This Sock-hop Fun! Hannah John, server, dances with resident Jean Robitalle. From left, resident Carol Mariani, with servers Anna Kemp, Riley Young, Shannon Felice and Brooke Downey. From left, Executive Director Anne DeMinico, Traditional Care Director Jess Harris and Housekeeping Supervisor Tricia Suydan. From left, servers Mia Shahood, Anna Kemp, Brooke Downey and Melany Kiwan. From left, servers Derrick Silva, Brooke Downey, and Jessica McKenney. Paul Kaufman, resident Ethel Stoller, her daughter, Margie Buckley (right), and Ethel’s caregiver, Christiana Tewio, (left) enjoy the Sock Hop event at The Village at Willow Crossings in Mansfield, Mass. 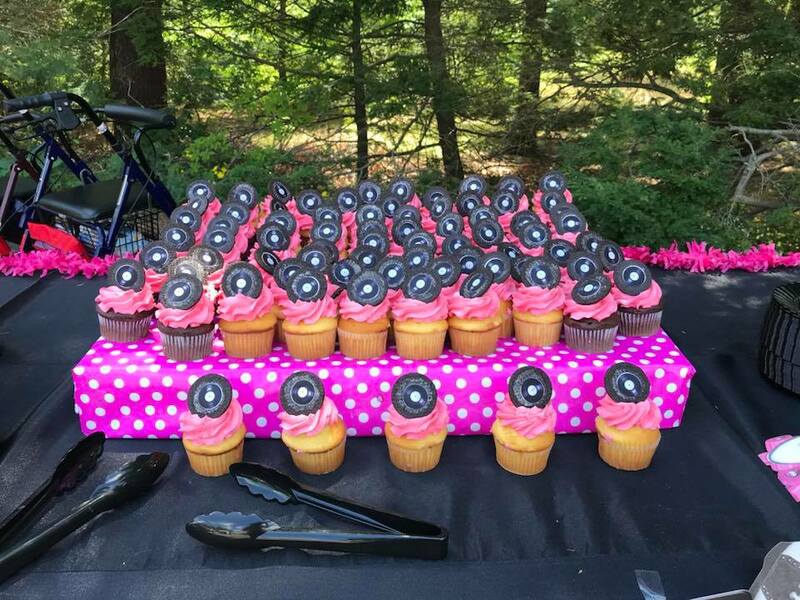 Even the cupcakes celebrated the 50s.